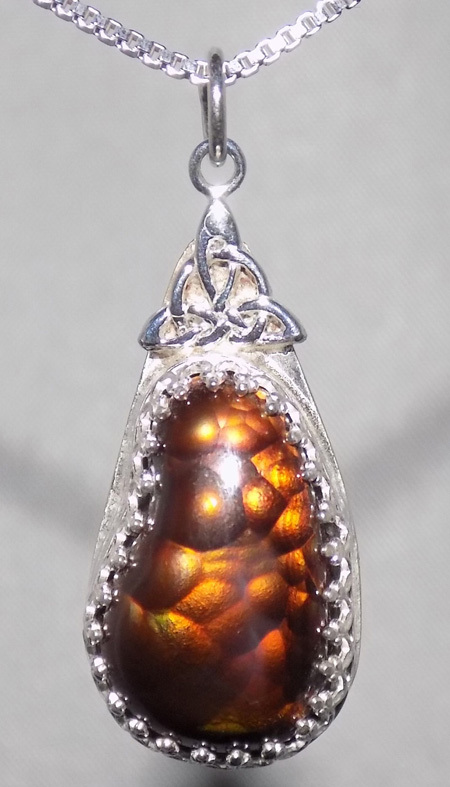 This beautiful pendant is Mexican Fire Opal. Doesn’t it look like the stone is on fire? This beautiful Mexican Fire Opal and Sterling Silver pendant is approximately 1 1/4 ″ tall, including bail, and 1/2″ wide. The necklace includes an 18″ Sterling Silver Chain.